Several years ago, IMFlash approached Lehi City officials about the need to expand their operation in the hills north of Lehi. 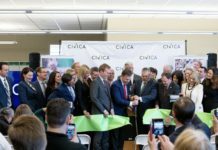 The footprint of the facility would be doubled and the need for additional water was necessary. The daunting task of acquiring more water fell to veteran water negotiator, civil engineer, and head of Lehi Engineering Department, Lorin Powell. After nearly two years of work, on January 16, Kent Jones, State Engineer, issued an order for a permanent change application to allow the drilling of a well in the northeast corner of Lehi/Highland. The acquisition of water rights for a municipality is a complicated and time-consuming process. 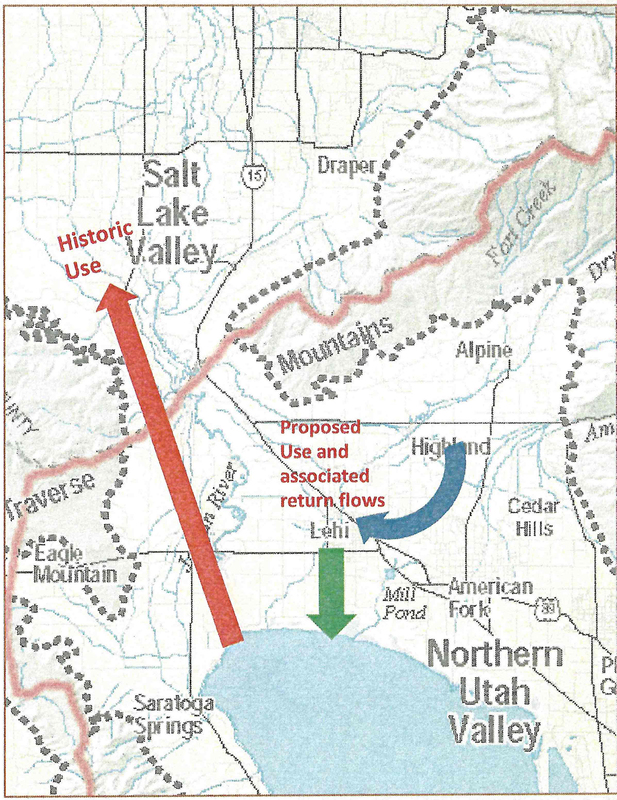 In 1996, an application was filed with the State Division of Water Resources to divert groundwater from Northern Utah County for use within Salt Lake County. Those water rights belonged to the Jordan Valley Water Conservancy District (JVWCD). The application process involved publication of the request in local newspapers. At the time, 431 residents from the Lehi area filed protests against the application. 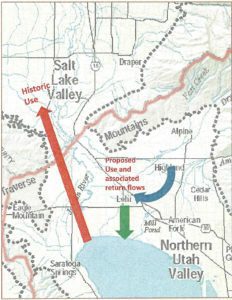 Reasons for the protests were that the well would only benefit the residents of Salt Lake County and negatively impact water resources in the area, particularly Utah Lake. Central Utah Water Conservancy District, Provo River Water Users, and the Bureau of Reclamation also had reservations about the request. Hearings were held and The Division of Wildlife Resources expressed concern that the application would reduce the water in Jordan River. Lehi citizens expressed apprehension about their wells and the future of new wells. The application was held (not acted upon or approved). At the time of the IM Flash request, Powell knew of the opposition regarding the original application, but hoped a compromise could be negotiated for a renewal of the original application. A positive outcome would provide a source of water needed for the requested expansion. To complicate matters, in January of 2014, Jones issued a directive that no wells could be drilled in area 55 (north Utah County) where the proposed well would be drilled. Only applications prior to that date could be considered. In early 2017, letters were sent to all 431 citizens of Lehi who had protested the 1996 change application. Powell and Lehi City officials met with those citizens to express a desire to have citizens withdraw their protests. Many of the original protestors had a passed away, moved, or removed their objection to the application. Working with the Jordan Valley Water Conservancy District officials, Powell arranged an exchange of water from Utah Lake for the rights to drill a well in the area originally designated in 1996. On December 19, 2018, JVWCD met with state water officials and in a prepared presentation, illustrated the details of the arrangement. Based on extensive research presented in the hearing, on Jan 16, 2019, Jones issued the long-awaited order, allowing the well. “We should be skipping all the way to Lehi,” said Powell. Proposed use would not impair existing rights or interfere with the more beneficial use of the water. The proposed plan would be physically and economically feasible and would not be detrimental to the public welfare. The applicant had the financial ability to complete the proposed work. The application was filed in good faith and the application would comply with the applicable groundwater management plan. Powell was enthusiastic about the ruling, “This will be Lehi City’s water right, Micron [IM Flash] will pay all costs to drill and maintain the well. Lehi will have the use of the water. It is estimated the cost of the water and the well will be about five million dollars,” said Powell.